After crossing the border into the Mercurial Empire I knew it would be a long hard trek to find the spot I was looking for, but I had my talisman of offerings that stoically pointed the way, and a little over a week of walking saw me arrive at the spot I needed. My first task here is complete. I have constructed a house to call my own, with a small freshwater lake just outside. That will become important in the future if I wish to see my plan through. 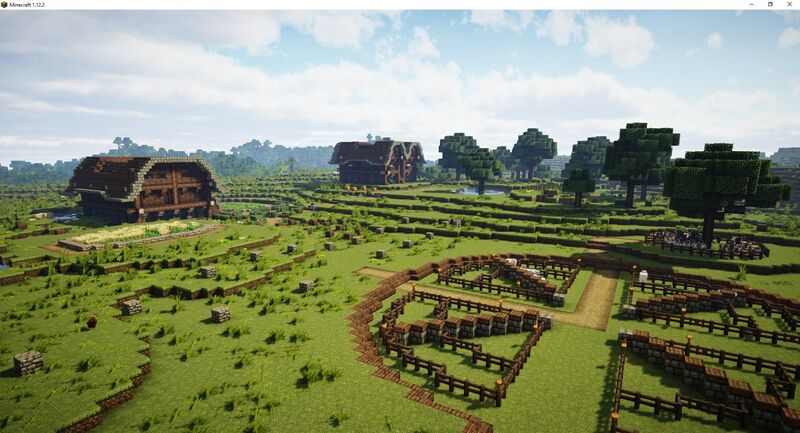 I have also constructed a storage building just down the hill and setup a crop of wheat and carrots to sustain me over the coming weeks whilst I establish a greater colony here. Animals are in abundance here, so I have claimed some of the wildlife for my own to provide me with food and resources. There is still much work to do. 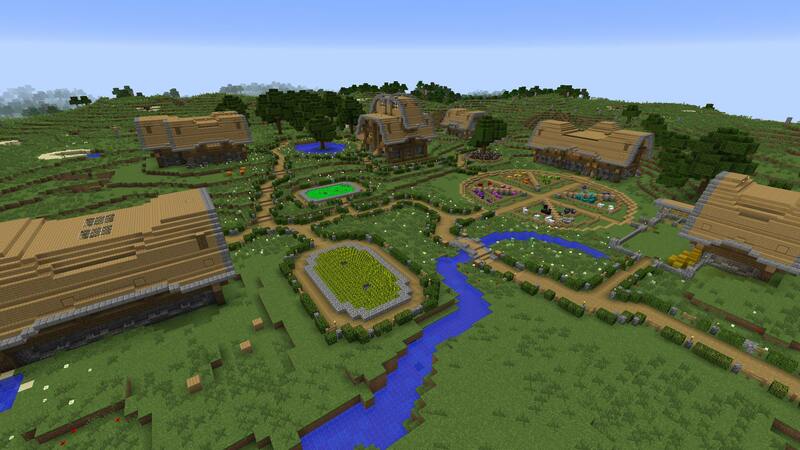 There are many more buildings needed, and I'll need to delve deep underground to find some of the resources I'll need. 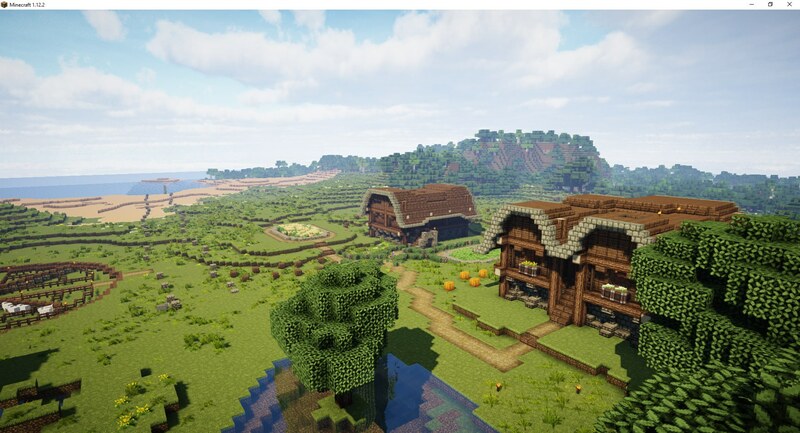 When this place starts to look like a proper village I'll be able to construct the holding cells and hide them underneath one of the buildings where no one will suspect. Kaine has an up and coming leader in yourself, Voss. Continue to provide and provide well! Wow I really like how you built this up with the lore so far. Keep it up, amazing! Holding cells? Spooky. Looks good friend, I'll have to stop by and build something sometime soon! Everything is still going according to plan. Shoreswood is almost at the point where we can start taking in guests, travellers and visitors. I've added a Blacksmiths, a Farmhouse and an Enchanting Loft. Once I get some Guest Quarters built I'll officially be able to open the doors and welcome the travellers in. With any luck some of those travellers will be alone. 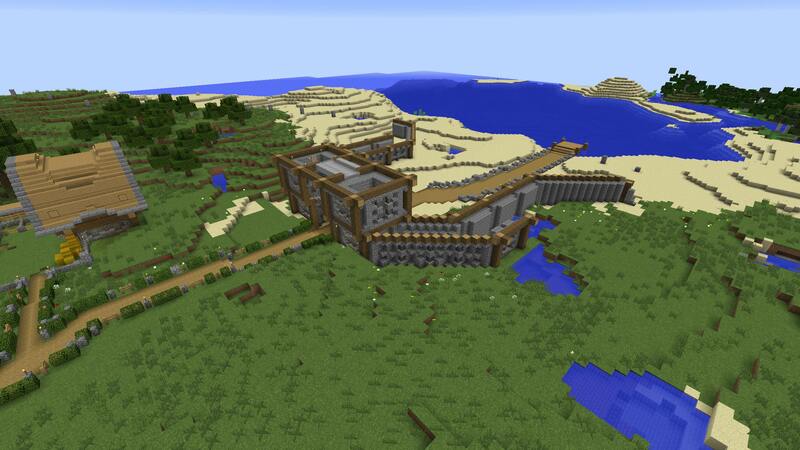 As well as the Guest Quarters, a Perimeter Wall needs to be built. That will be a huge project that requires an enormous amount of resources, and an inordinate amount of time, but it's a necessity, so I'll keep working at it. Building the blacksmiths over by the gorge has given me access to the stone I need for the wall, and I keep planting trees for the wooden outer structures. Looks great! I'll try to pop by for another visit soon. Absolutely gorgeous. Looking forward to seeing more of this. A worthy supporting village to the local Capital. Strong farming industry really pulling the village forward. Keep up the good work! Coming along nicely! I love how the paths are done as well! The Southern Guesthouse is now complete, hopefully the sheep don't keep the visitors awake at night. The Southern Guesthouse has 3 rooms upstairs, each containing a chest with several materials that guests can use to decorate the rooms to their own tastes. Included in the chest is a sign that guests can place outside the room to claim it. 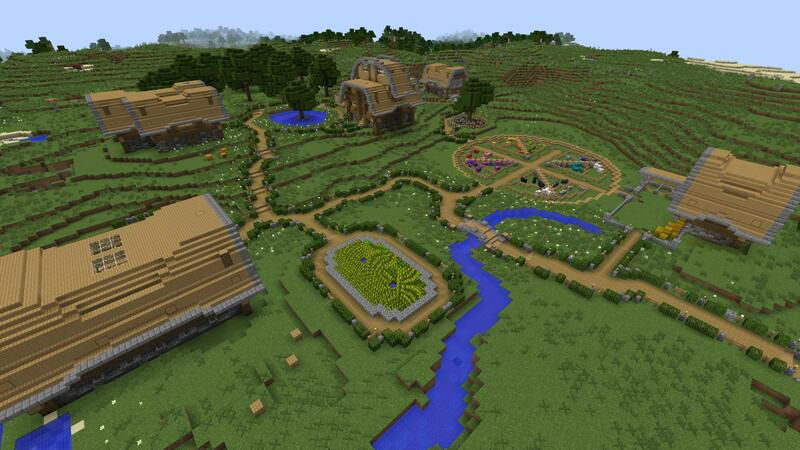 A small potato farm has been established to help feed the village, with any surplus going to the capital for trade. A start has been made on the perimeter wall, however this will be a very long term project. 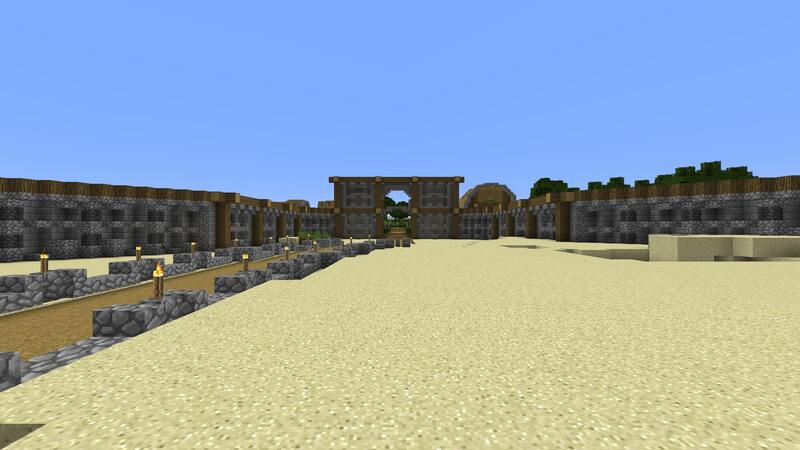 I've begun by constructing the west gate.